‘They Call Me Obea’ examines the role of obeah within the Moravian mission to Jamaica between 1754 and 1760. While much scholarship has focused on the significance of obeah in Tacky’s Revolt of 1760 and later, there has been less attention paid to obeah before it became linked to rebellion and criminalized in British West Indian law. The Moravian missionary sources, a voluminous yet largely unexamined archive of letters, diaries, and account books written by Moravian missionaries and their enslaved and free converts, offer new insight into the significance of obeah in pre-1760 Jamaica. When Zacharias George Caries, the first Moravian missionary to be stationed in Jamaica, arrived in 1754, he was an outsider on many levels. A German Moravian who had toured with the evangelist John Cennick through the British Isles, Caries brought with him a radical vision of the New Birth and a commitment to converting enslaved Africans to Christianity. 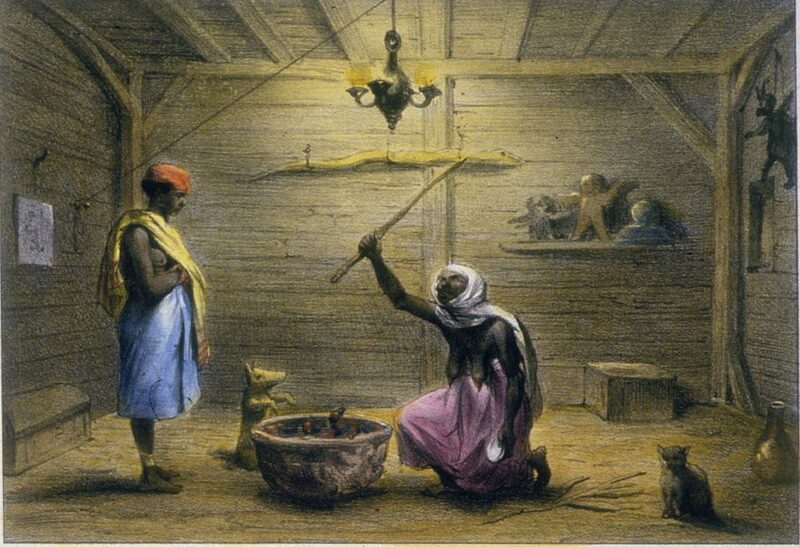 Three months after his arrival, the enslaved men and women at the Bogue estate began to call Caries “obea,” a term that Caries defined as a “Seer, or one who is able to see things in the future.” What did it mean for Caries to be called “obea,” and how did his behavior contribute to the perception that he was an obeah man? I argue that Caries’ identification as an obeah man demonstrates that obeah was not just an Afro-Caribbean practice – it was also the frame through which Afro-Caribbeans interpreted European religious and medical practices. Several scholars have argued persuasively that obeah conflicts with European methods of categorization that divide “religion” from “medicine” and “true religion” from “superstition.” This article contends that in order to fully appreciate the role of obeah in mid-eighteenth century Jamaica, scholars must view Christian practice and European natural history as being part of the Afro-Caribbean category of obeah. “‘They Call Me Obea’: German Moravian Missionaries and Afro-Caribbean Religion in Jamaica, 1754-1760,” Atlantic Studies 12:2 (2015), 160-178.